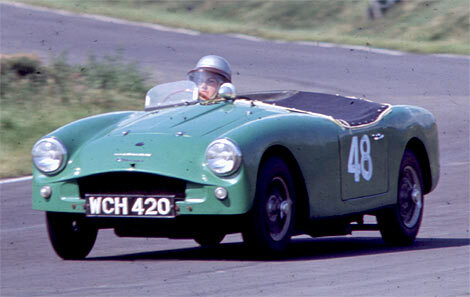 1961 Turner Climax being driven by Keith and his wife at Mallory Park circa 1964 at a sprint meeting. They owned the car in 1964/65. Reg. No. 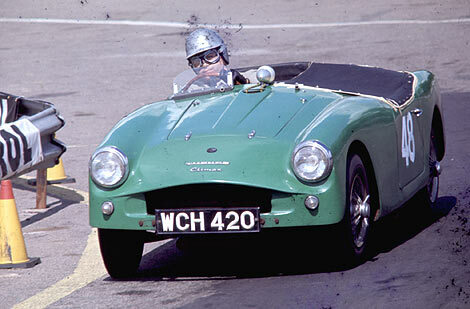 WCH 420 The car is today missing , If you have any Information or history on the whereabouts or fate of WCH 420, or indeed any Turner Sports Car, please contact the Turner registrar. Keith currently owns a 1961 Turner Mk I, Chassis No. 60/415 and also previously owned a 1961 BMC powered Mk II (chassis number unknown), and built and raced a Climax GT (chassis number unknown).